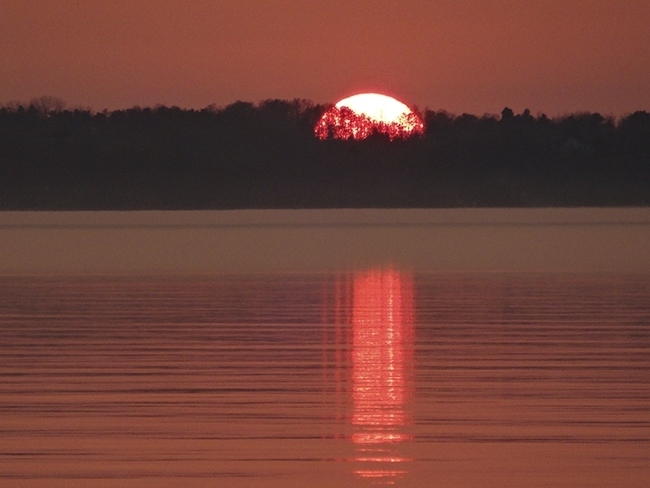 Sunset Glowing Over East Grand Traverse Bay. Photo: Ann McPhail. Cherry Blossoms Arriving on Old Mission. Photo: Kim Schneider.